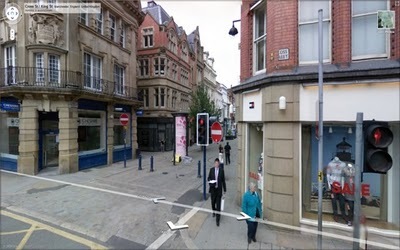 The shortlist for the best streets in the UK was unveiled today, courtesy of Google Street View. The roads, divided into the three categories of most picturesque, best for fashion and best for restaurants, were selected by a panel of experts, including judges from Visit Britain and the Times. 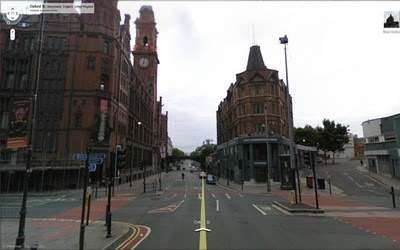 Two streets – Wilmslow Road and New Cathedral Street - were nominated for the awards in Manchester. SEO copywriters Dan Nolan, Tom Mason and online marketing assistant Rachel Holce give their opinions on the local streets which should have also made the list. 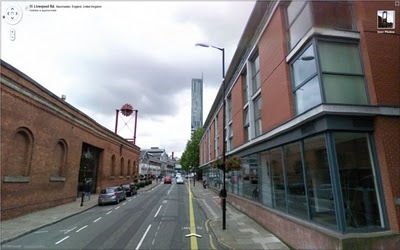 Liverpool Road is a picturesque street which is home to two of Manchester's most famous attractions; Beetham Tower and the Museum of Science and Industry. It's got a lovely blend of old and new architecture and it's the perfect road to contemplate where Manchester's architecture has been and where it is going to go in the future. King Street is the exclusive hub of Manchester's shopping district. Its cobbled streets host the likes of Vivienne Westwood, DKNY and DUO. If you're looking for the best shopping district, look no further. Stretching from the centre of town to the beginning of Rusholme, Oxford Street has it all. The university campus is very picturesque, while a host of excellent restaurants line the route.